Following my recent post on Pike Records, bobsluckycat came up with some real interesting memories of Pike recording artist Bobby Hollister. Bobsluckycat was stationed at a Naval Air Station in Lemoore, California, in the early 1960s and was able to see Hollister perform and also to talk with him back then. According to the Social Security Death Index, Robert Harold Hollister was born on September 11, 1942. Rumor goes that his familiy name was actually Cox but later got adopted by a man called Harold Hollister. I'm quite sure this is our man, although I have no verification. Hollister founded his band in 1959 in Tulare, California, calling themselves "Bobby and the Rialtos." Members included Hollister on vocals and electric rhythm guitar, Freddie Thomas on lead guitar, and Mike Nolan on drums. It was the year 1961: Bobby Hollister and the Rialtos performed at teen dances around the Bakersfield/Lemoore//Tulare/Visalia area (Central Valley). He still attended high school and because of their age, Hollister and the Rialtos weren't allowed to work places where alcohol was served. They had a short list of songs the teenagers at that time wanted to hear, including such pieces as "Money (That's What I Want)" and "Last Night." Hollister told me they had cut a record in Bakersfield in a garage, but that they couldn't afford to bring it out because they couldn't afford to pay for the pressing. He would tell the people at the dances that he had a record coming out, but it never did, in so far as I know. I found a copy a year or so later in Columbus, Ohio, in the cut-out bin of a local Woolworth store for 5 cents. I bought it just for curiosity sake. The record was pretty bad. 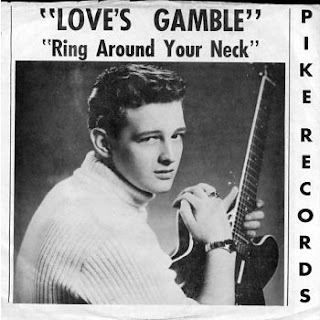 "Love Was A Gamble" was a slow almost dirge like recording where Hollister tries to sound a little like Jack Scott, but fails miserably. "Wear My Ring" was a much faster nearly rockabilly song, but Hollister couldn't match the Elvis Presley/Conway Twitty style vocal that was needed. Hollister also played with various other band during this time but by the fall of 1961, Hollister disappeared from the Central Valley music scene. He probably went to college, as bobsluckycat assumed. Hollister was drafted into the Army on February 27, 1963, and spend his military service in Korea. He got out of service in 1966 and upon his return, he restarted his musical career. 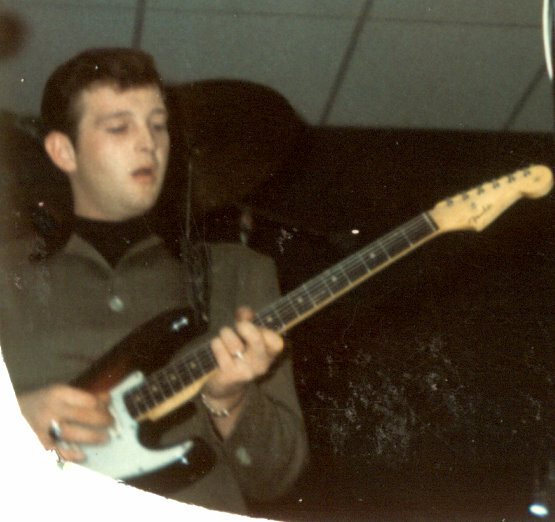 As mentioned, Bobby joined The Brymers in late 1966. The group needed another vocalist for our four piece harmony. All of us knew Bobby from the early 60's in the San Joaquin Valley. He had played with numerous bands and our manager and record label thought he would be a good fit. The Brymers began getting national airplay on "Sacrifice" and "I Want To tell You" - so he toured extensively with us. 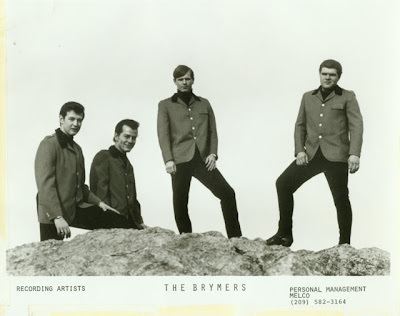 Though the Brymers had a busy touring schedule and a recording contract with Diplomacy Records, the band members decided to disband in late 1967. They were tired of being on the road. Hollister married Sandra J. Thomas in the late 1960s and they had three children. The marriage did not last long and they were divorced in November 1968 (according to the California Divorce Index). Hollister then returned to Tulane and kept on playing music. He later married Betty Stoy, with whom he had two daughters. Bobby hung around our house when he was in Modesto. My brother taught Bobby a few new tricks on the guitar and let him play the new ones he was building. Bobby would borrow them and use them with the Brymmers. One of his favorite was the Julian 007. It was shaped like a rifle and easy to maneuver on stage. Bobby liked to play it behind his back. [...] Bobby - as so many other musicians - was messed up on drugs. I always thought that it was such a shame because he had one of the best voiced I had ever heard. His gift of taking a song and bringing out every emotion in it until it was rung dry was for me breathtaking. He was one of the best entertainers I had ever seen. He just commanded the stage. One night when we were working at the Crowsnest he had had many request for the 'House of the Rising Sun' but didn't know the words. He asked me if I knew them and if I could tell him each line as he sang them. I was so amazed how he took that song second hand, sang it, performed it, and filled it with all the emotion necessary. That was the night I new he had something really special. Hollister performed with several other groups in the San Joaquin Valley until the early 1970s. He then moved his family to Tacoma, Washington state, and Floyd Julian followed soon after. They played together around Washington and Oregon for years until Julian joined another band and eventually left Washington. It seems that Hollister remained in Tacoma. He died on March 23, 1993, in Washington. 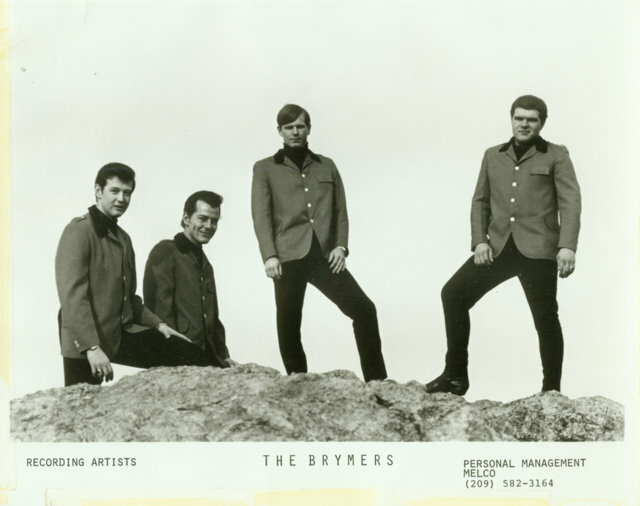 A promo picture of the Brymers, ca. 1967. Bobby Hollister is on far left. Bobby also had 2 daughters with a lady named Betty Stoy first one in 1979 named Elaina Kay Hollister and another in 1983 named Kristin Rae Hollister. The promo pic above says Bobby Hollister is on the far right which is incorrect. Hollister is on the far left of the photo. Thanks for the correction. Always thought the same!